Wellspring Therapy & Training – a mental health support charity – based in Starbeck, Harrogate, has opened a new £1m facility in support of adults, children and teenagers in the area seeking emotional, mental and spiritual wellbeing. The new Centre, which was officially opened , is quadruple the size of the charity’s previous home. It will be used to offer affordable counselling and training for the local community. New services will also be offered at the Centre, including play therapy for children under the age of eight. 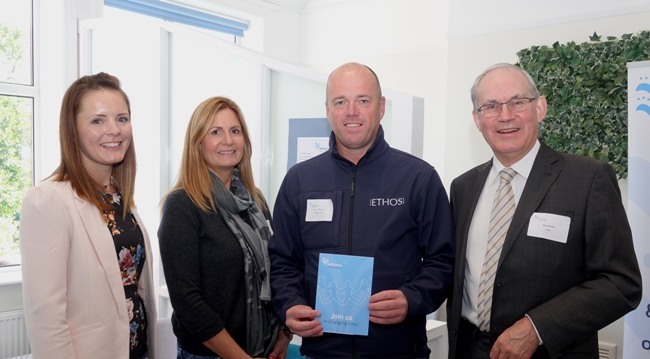 The investment was made possible with thanks to the Liz and Terry Bramall Foundation and the many other trusts, foundations, individuals and businesses who have all given so freely – including Ethos Asset Finance, who came on board to support the charity at the beginning of the year. Emily Fullarton, director at Wellspring, said: “The launch of the Centre today was a very proud moment for me and all the other volunteers who give their time to supporting those people within our local community who turn to us for help. “It would not have been possible without the support of the Liz and Terry Bramall Foundation and our other supporters, so thank you to everyone who has played their part in getting to where we are today.